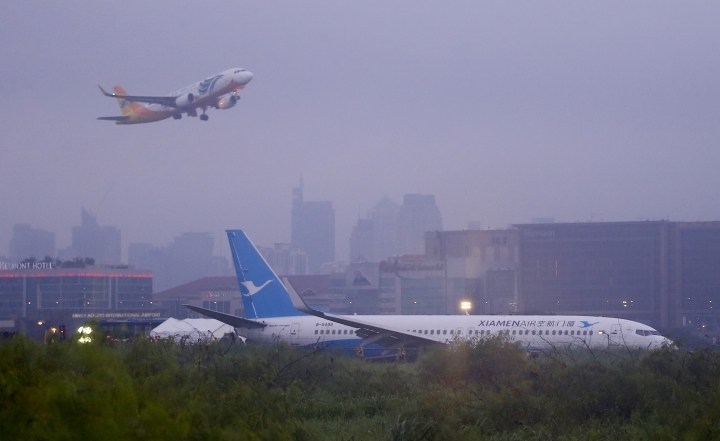 MANILA, Philippines — A plane from China veered off a runway at Manila's airport while landing in a downpour near midnight then got stuck in a muddy field with one engine and wheel ripped off before the 165 people on board scrambled out through an emergency slide, officials said Friday. 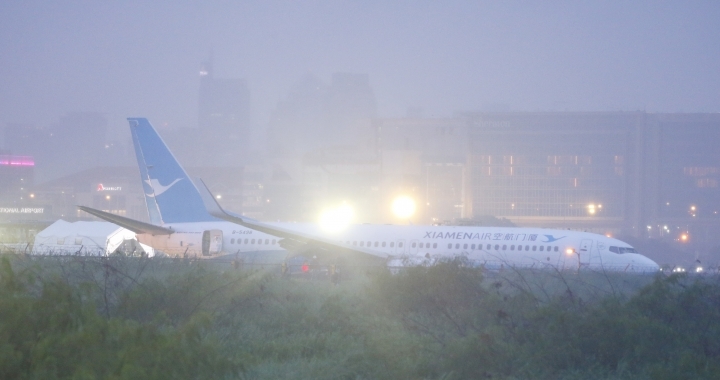 Only four passengers sustained scratches and all the rest including eight crewmembers aboard Xiamen Air Flight 8667 were safe and taken to an airport terminal, where they were given blankets and food before going to a hotel, airport general manager Ed Monreal told a news conference. 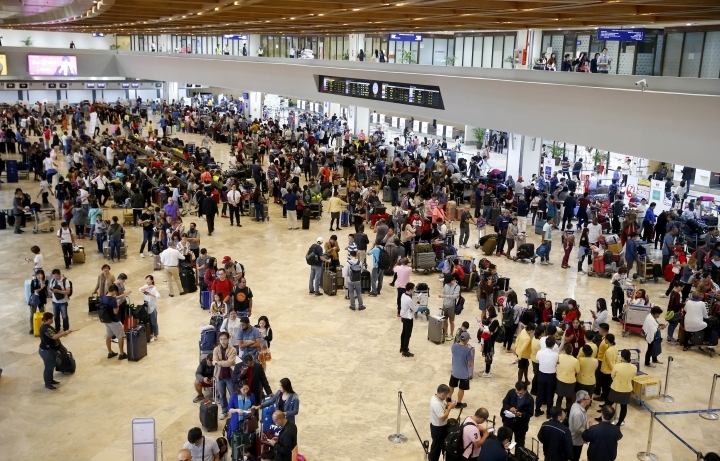 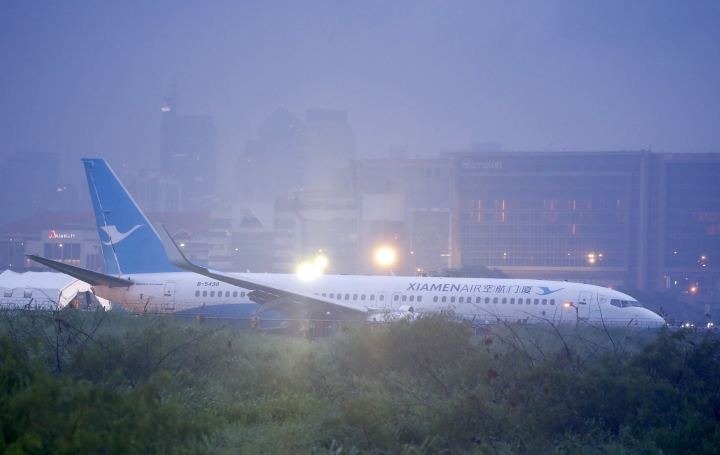 The Boeing 737 from China's coastal city of Xiamen at first attempted but failed to land apparently due to poor visibility that may have hindered the pilots' view of the runway, Director-General of the Civil Aviation Authority of the Philippines Jim Sydiongco told reporters. 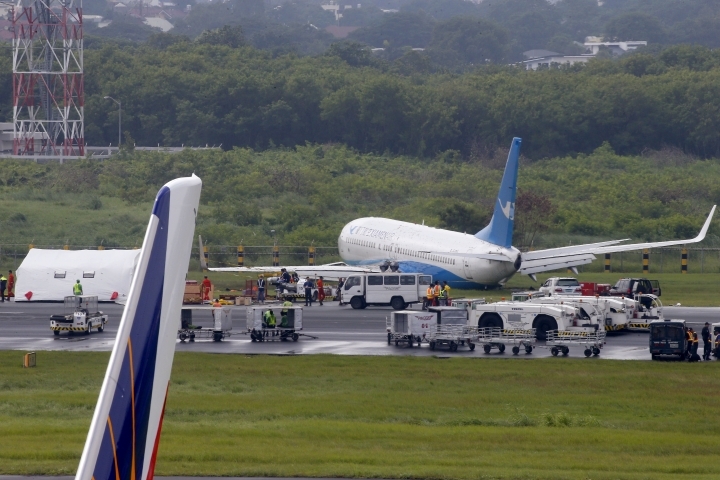 "We think that when (it) landed, the plane swerved to the left and veered off the runway," said Monreal, expressing relief that a disaster had been avoided. 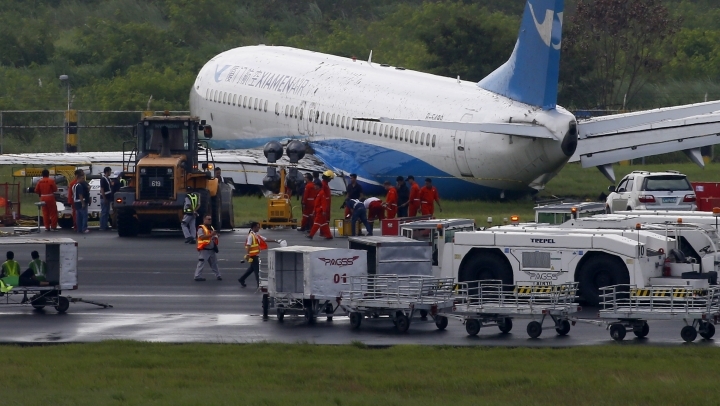 "With God's blessing all passengers and the crew were able to evacuate safely and no injuries except for about four who had some superficial scratches." 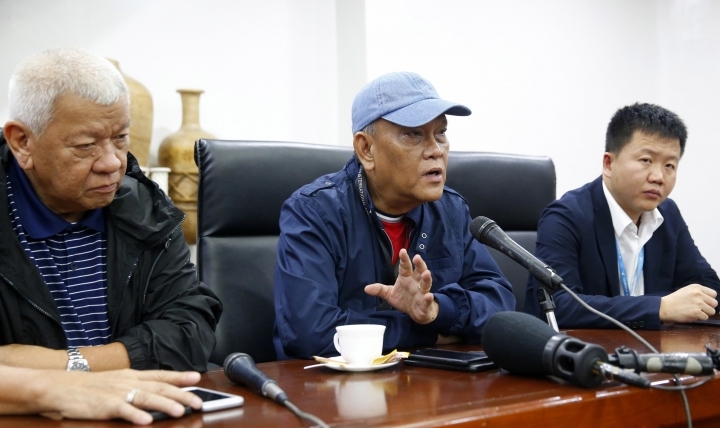 The aircraft appeared to have "bounced" in a hard landing then veered off the runway and rolled toward a rain-soaked grassy area with its lights off, Eric Apolonio, spokesman of the civil aviation agency said, citing an initial report about the incident. 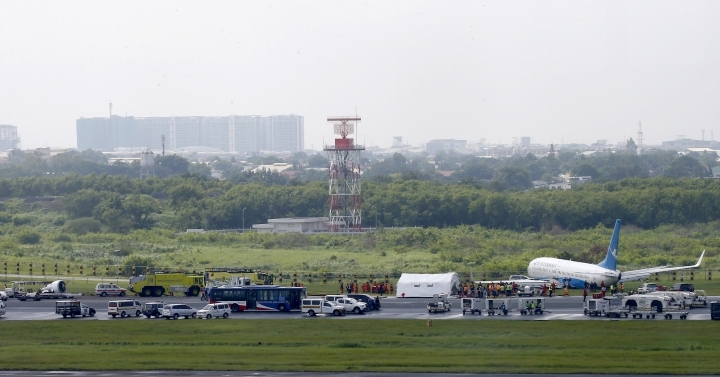 Ninoy Aquino International Airport, Manila's main international gateway, will be closed most of Friday while emergency crews remove excess fuel then try to lift the aircraft, its belly resting on the muddy ground, away from the main runway, which was being cleared of debris, officials said. 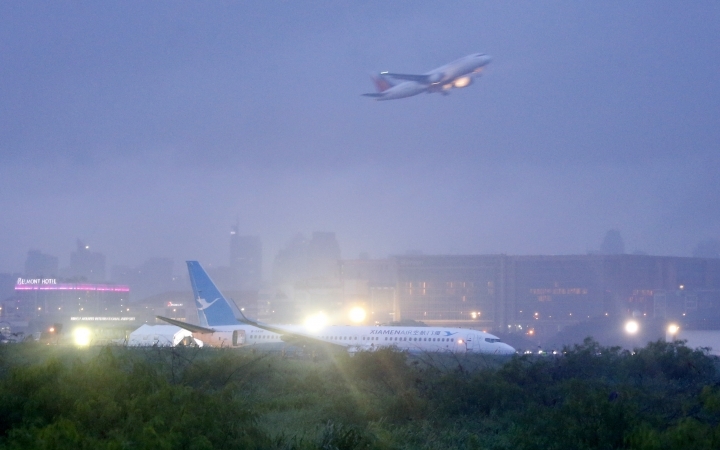 A smaller runway for domestic flights remained open, they said. 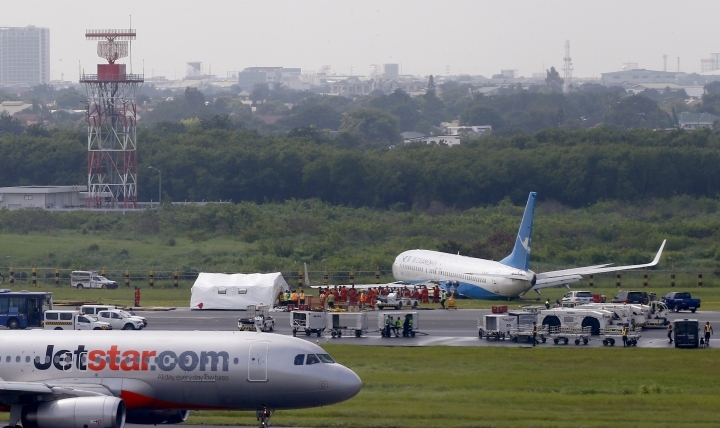 TV footage showed the plane slightly tilting to the left, its left badly damaged wing touching the ground and its landing wheels not readily visible as emergency personnel, many in orange overalls, examined and surrounded the aircraft. 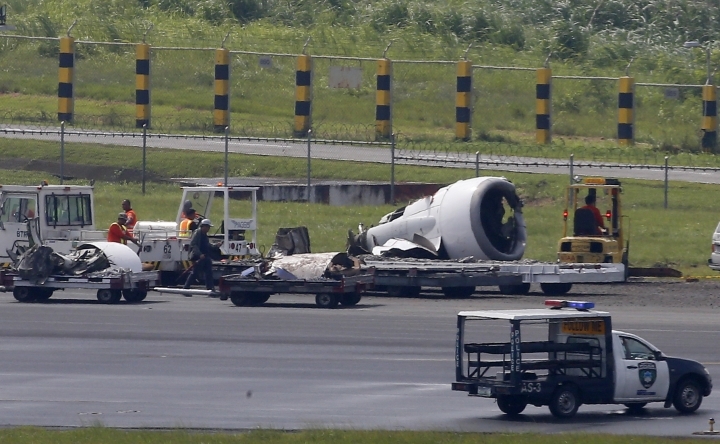 One of the detached engines and landing wheels lay a few meters (yards) away. 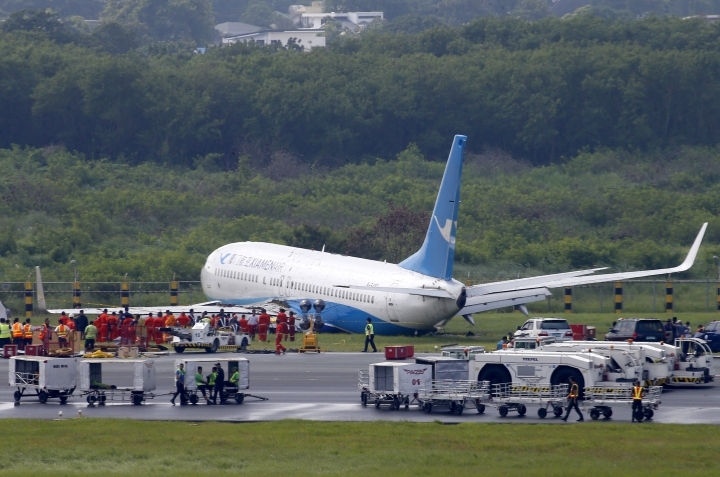 A Xiamen Air representative, Lin Hua Gun, said the airline will send another plane to Manila to resume the flight. 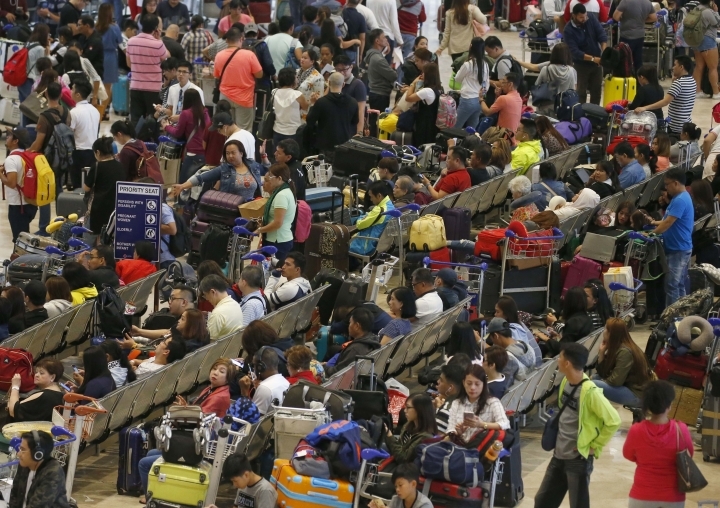 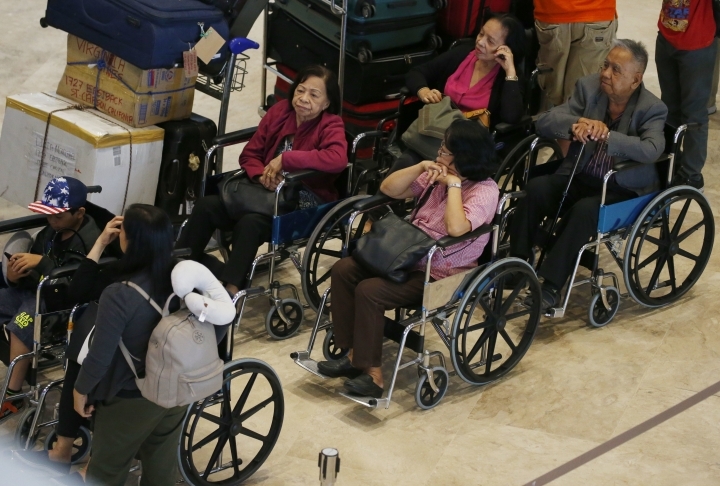 Several international and domestic flights have been canceled or diverted due to the closure of the airport, which lies in a densely populated residential and commercial section of metropolitan Manila. 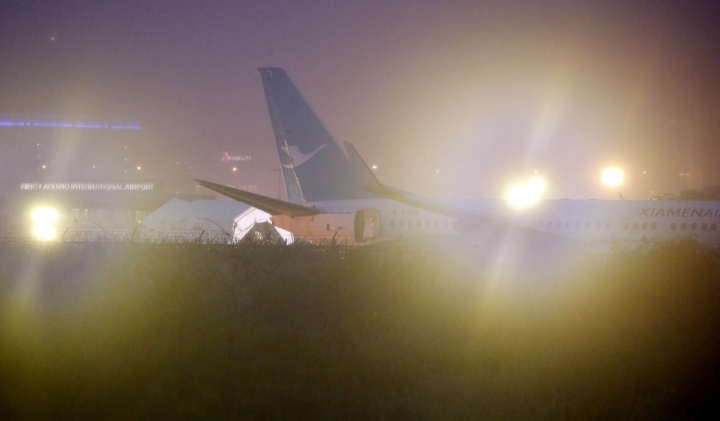 Airline officials initially said the airport could be opened by noon but later extended it to four more hours.